Everton left-back Lucas Digne has pulled out of the France squad with a thigh injury, after limping out of training earlier this week. Digne was not named in the squad that beat Moldova 4-1 on Friday night. 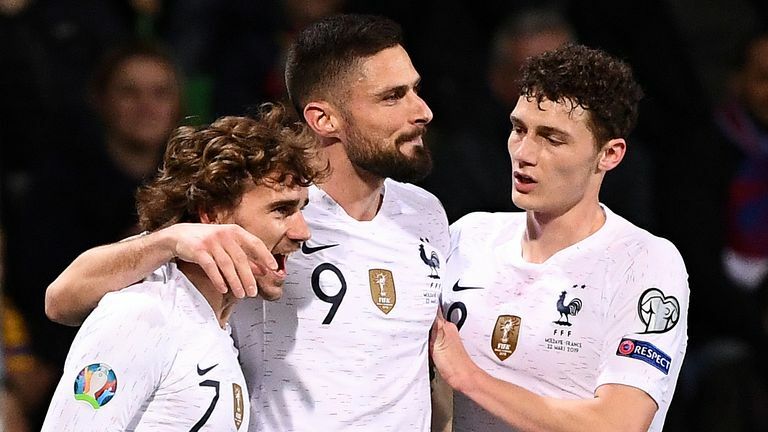 Antoine Griezmann, Raphael Varane, Olivier Giroud and Kylian Mbappe were all on the scoresheet in that game as Didier Deschamps' side won their opening European Qualifier. The 25-year-old is unavailable for their game against Iceland on Monday, live on Sky Sports, where he would have faced Everton team-mate Gylfi Sigurdsson. He has made 23 caps for his country and was in the France squad that finished as runners-up in Euro 2016. Digne, who moved from Barcelona to Merseyside for £18m last summer, will return to England to link up with the Toffees ahead of their Premier League game with West Ham next Saturday. He has three goals and four assists from full-back this season and has kept the experienced Leighton Baines out of the team. France will not be calling up a replacement.